At the core of our secondary curriculum is an appreciation for the fact that students are in the process of developing the power to reason; that they are evolving a pattern of faith for daily living, part of which involves their evolution as decent, loving, and responsible human beings; that they are preparing for further education; and that they are learning to become informed contributors in society. 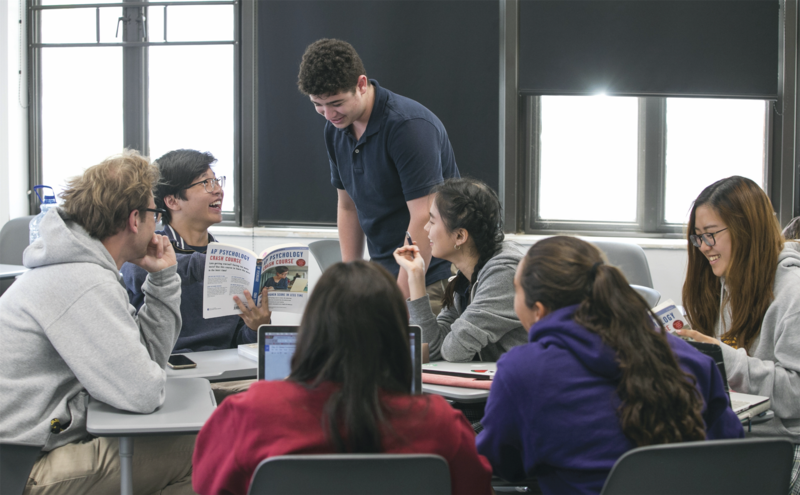 Our high school curriculum engages Campbell Hall students as it is continually expanded to provide a challenging mix of curricular offerings. From exploring the 3D printing process, and our on-campus telescope to incorporating principles of engineering, computer science, mathematics, and robotics, Campbell Hall is committed to combining cutting-edge, technologically-enriched experiences. Students commonly exceed the basic course requirements in each discipline by taking honors, advanced placement or online university courses to further explore subjects that they find compelling. Twenty-five AP classes are offered at Campbell Hall. Students have taken online courses from Johns Hopkins CTY, BYU and Stanford Online High School.